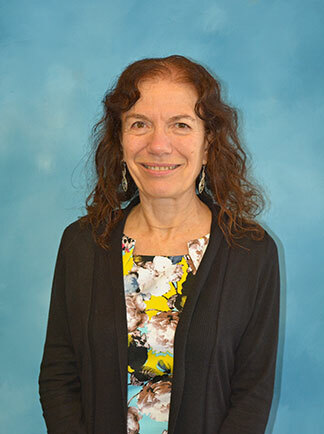 From the Editor: Carol Castellano has served as president of the National Organization of Parents of Blind Children (NOPBC) and the Parents of Blind Children-New Jersey (POBC-NJ). She is the author of four books on raising and teaching blind children, including Making It Work and Getting Ready for College Begins in Third Grade. It took my daughter, Serena, a long time to decide just what she wanted to be when she grew up, whereas, my son was only four when he decided that he would be a dinosaur scientist. It wasn't until she was seven that Serena realized that her destiny in life was to be a folksinger. Happily she played the chords to her favorite song, "Michael Row the Boat Ashore," on my guitar. Then came the Presidential campaign of 1992. Serena was eight. She sat rapt before the television, listening intently to the speeches of both parties. After the summer's two national conventions, she realized that it wasn't a folksinger that she wanted to be after all ... it was a folk singing senator. By late fall, having heard all three presidential debates, Serena was going to be president. Her barrage of questions about how she could learn to be president and conversations about what politicians do kept up for so long that my husband and I were convinced she really might go into politics when she was older. In the late spring of this year, Serena went out with her father to pick early snow peas from the garden. Coming inside with her basket of peas, she told me she was very interested in gardening. "That's wonderful," I replied. "You'll be a big help to Daddy." The desire to be a gardener was still but a tender shoot when Serena took a piano lesson—just a few weeks after picking those peas—and realized it was a pianist she wanted to be! Serena is at such a wonderful stage of life! Interested in everything, trying everything out, she sees the world as her plum, ripe for the picking. She believes in herself, as we believe in her. And since what people believe largely determines what they do, it is critically important for parents of blind children (and other adults in the child's life) to have positive beliefs about blindness and what blind people can do. If we are told (in a journal article or by a teacher of the blind, say) that blind children usually do not or cannot learn how to do a certain task, and if we come to believe this, chances are we will not give our child the experience or opportunity anyone would need in order to do this task. And chances are the child won't learn to do it. Imagine, though, if we—and our blind children—were never told that blind people couldn't accomplish a certain thing. Imagine what the results might be if everyone believed that blind people could do anything they wanted to! Well, I believe this—and attending National Federation of the Blind national conventions has solidified this belief for me. It is this belief that guides the way I bring up my daughter. Sometimes in the literature I read the phrase "acceptance of the child's blindness." That word acceptance always causes me concern; the word acceptance can mean entirely opposite things to different people. To some, "accepting the child's blindness" means accepting—or coming to believe—that because the child is blind, there will be limits to what the child can do, limits to what he or she can understand, limits to what he or she can learn. (They often refer to these beliefs as "being realistic.") It is easy to see what the effects of that kind of thinking will be. When I consider the term "accepting the child's blindness," I think about accepting that the child is blind, learning and coming to believe that blindness need not stop the child from achieving what he or she wishes, and allowing, indeed insisting, that the child learn the alternative techniques of blindness that will enable him or her to achieve the desired results! Find a way, parents. Keep all the doors open. Glory in the exhilarating feeling of watching a child look toward the future and see only possibilities. Postscript: At national conventions of the National Federation of the Blind there are opportunities to meet blind people from many walks of life. My husband and I know personally or have heard speak a blind high school teacher, a college professor, a mathematician, a scientist, a car body mechanic, an industrial arts teacher, a Foreign Service officer, an engineer, a high-performance engine builder, and a man who has sailed solo in races from San Francisco to Hawaii. Attendance at national conventions has enabled us to see firsthand that blindness does not have to stop people from achieving what they want to achieve. This knowledge gets passed along to our daughter and, equally as important, to the teachers and other professionals who work with her. Go to a national convention! It might turn out to be the most important thing you do for your blind child's future.